Volumises, defines and lengthens lashes. 3D Lash look. Zero clumps. Definition + Volume + Length. Apply 2 coats of mascara along the length of lashes. AQUA/WATER/EAU, PARAFFIN, GLYCERYL STEARATE, COPERNICIA CERIFERA CERA/COPERNICIA CERIFERA (CARNAUBA) WAX/CIRE DE CARNAUBA, PVP, CERA ALBA/BEESWAX/CIRE D’ABEILLE, TRIBEHENIN, PROPYLENE GLYCOL, POLYSORBATE 20, STEARIC ACID, AMMONIUM ACRYLATES COPOLYMER, PANTHENOL, CAPRYLYL GLYCOL, HYDROXYETHYLCELLULOSE, TOCOPHERYL ACETATE, SODIUM HYDROXIDE, TALC, MICA, ASCORBYL GLUCOSIDE, CALCIUMALUMINUM BOROSILICATE, GOSSYPIUM HERBACEUM (COTTON) POWDER, HYDROLYZED WOOL, SERICA POWDER/SILK POWDER/POUDRE DE SOIE, RETINYLPALMITATE, HDI/TRIMETHYLOL HEXYLLACTONE CROSSPOLYMER, ACRYLATES/CARBAMATE COPOLYMER, SILICA, GLYCERIN, HYDROGENATED OLIVE OIL, OLEAEUROPAEA (OLIVE) FRUIT OIL, ETHYLENE/METHACRYLATE COPOLYMER, COLLAGEN, COLLOIDAL GOLD, SACCHAROMYCES/ PLATINUM FERMENT, SACCHAROMYCES/ SILVER FERMENT, CERAMIDE 2, HYDROLYZED KERATIN, OLEA EUROPAEA (OLIVE) OIL UNSAPONIFIABLES, SODIUM SULFATE, ISOPROPYLTITANIUM TRIISOSTEARATE, PHALAENOPSIS LOBBI EXTRACT, POTASSIUM SORBATE, PHENOXYETHANOL, BAMBUSA ARUNDINACEA LEAF EXTRACT, SODIUMBENZOATE, CHLORPHENESIN, SORBIC ACID, TOCOPHEROL [MAY CONTAIN/ PEUT CONTENIR/+/-:IRON OXIDES (CI 77491, CI 77492, CI 77499, CI77491), TITANIUM DIOXIDE (CI 77891), FERRIC FERROCYANIDE (CI 77510), CARMINE (CI 75470), CHROMIUM HYDROXIDE GREEN (CI 77289), CHROMIUM OXIDE GREENS (CI 77288), ULTRAMARINES (CI 77007)]. All reasonable efforts have been made to ensure that ingredient listings, product images and other information for products displayed on this website are up to date, accurate and complete. However, we still recommend that you please check the ingredient listings on a product before use. Please Login or Sign up ! to submit your review. Amazing. Re-purchasing. Never live without! As said by other reviews it volumises, lengthens and doesn't clump! 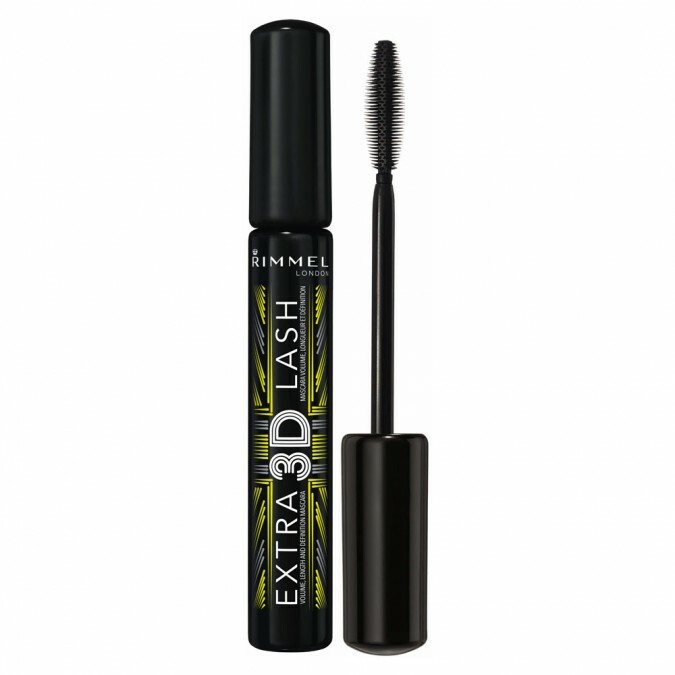 This mascara is amazing it lengthens, volumizes and lasts all day! For me it is one of the best affordable mascaras out there! Highly recommend! Also for me it is kind of waterproof like I can cry and it only comes off the slightest little but which is amazing! Finally a mascara that provides length and does not clump. It separates lashes decently, and the small thin wand allows you to really reach the base of the lashes. Can look a little spidery but this depends on how you apply it. But for the price it is well worth it, if you love long lashes. I have been trying to find a good, affordable mascara for ages. This one grabs every lash and lengthens it heaps! My lashes are already medium length, and after putting this on someone asked if i had false lashes on! Looks great. Only downfall is i feel like it drys my lashes out slightly. But 100% glad that i brought this, its great at lengthening! Start here if you registered for the Sister Club in store but are new to our website.